Feeling for a festive meal, but not up for a full-course buffet spread? We’ve got our list of 10 places to dine at during this festive season. 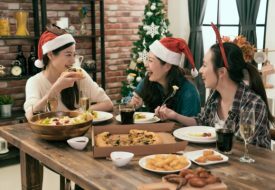 With hearty dishes and a sprinkling of good ol’ Christmas magic, it’s all about treating yourselves this holiday season! 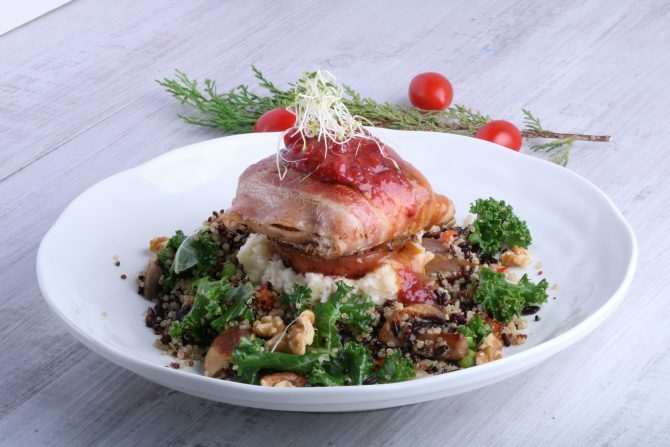 The festive menu at Cedele’s All Day Dining outlets feature the Turkey Bacon Parcel with Olive-Garlic Tapenade ($24.00) that comes with rustic mashed potato; tossed kale, organic Jasberry black rice and quinoa salad; and roasted tomato. The Grilled Yuzu Salmon ($23.00) is served with warm green salad and rustic mashed potato. There are also two flavours of sliced log cakes available for dine-in; Rose Lychee Martini ($10.00/slice) and Chocolate Flourless Logcake ($8.50/slice). Special festive beverages are also available – Activated Charcoal Hazelnut Latte ($6.50) and Merry Berry Fizz with vanilla ice cream ($8.00). Available from 23 November till 31 December 2018, while stocks last. Available at all Cedele All Day Dining Outlets including Wheelock Place. 10 Festive Takeaways Delicious Enough To Impress!